This was taken at the Stateline Overlook. More than 13 miles of hiking trails lace the park, varying from easy to difficult. Most are less than 1 mile long, but interconnected trails provide longer hikes over varying terrain. Maps with descriptions of each trail are available at the park office. 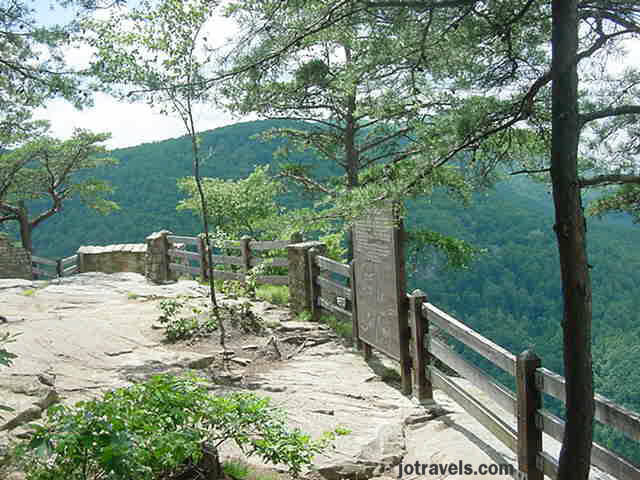 Trail names describe the outstanding physical features of each: Cold Spring, Geological, Grassy Creek, Grassy Overlook, Lake, Loop, Overlook, Prospectors', Ridge, River, Towers, and Tower Tunnel trails. The Ridge and Geological trails are self-guided, with booklets available.